← Baltimore Screening Pass-palooza: Annie! Oh, c’mon now. Y’all knew he’d be racking in the accolades once Interstellar hit. And I agree; his body of work is definitely deserving of recognition in the field of art and production design. Without further ado… hit it, PR Posse! LOS ANGELES, Dec. 3, 2014 /PRNewswire/ — Christopher Nolan will receive the prestigious Cinematic Imagery Award from the Art Directors Guild (ADG) at its 19th Annual Art Directors Guild’s Excellence in Production Design Awards, it was announced today by ADG Council Chairman John Shaffner and Awards Producers Dave Blass and James Pearse Connelly. Comedian Owen Benjamin will host the black-tie ceremony at the Beverly Hilton Hotel, set for January 31, 2015. The ADG’s Cinematic Imagery Award is given to those whose body of work in the film industry has richly enhanced the visual aspects of the movie-going experience. Previous recipients include Martin Scorsese, Warren Beatty, Clint Eastwood, Norman Jewison, John Lasseter, George Lucas, Steven Spielberg and Blake Edwards. Nolan’s latest film is Paramount Picture’s highly acclaimed and popular “Interstellar,” starring Matthew McConaughey, Anne Hathaway and Jessica Chastain, which has garnered outstanding reviews and has grossed more than $540 million worldwide to date. Christopher Nolan first caught the attention of the industry and film lovers with “Following,” a black-and-white short film for which he won the Slamdance Film Festival’s Black and White Award and was nominated for the festival’s Grand Jury Prize. In 2000, he wrote and directed the highly acclaimed “Memento,” earning an Oscar® nomination for best original screenplay; four wins from the Spirit Awards including Best Director, Best Feature and Best Screenplay; a DGA nomination and numerous other worldwide accolades. Four of his films have been honored by the American Film Institute, recognizing the year’s greatest achievements in American film: “Memento,” “The Dark Knight,” “Inception” and “The Dark Knight Rises.” He has been nominated by the DGA for best director of the year three times for “Inception,” “The Dark Knight” and “Memento.” He has received two Oscar® nominations for “Inception” (best picture and best original screenplay) and one for “Memento” (best original screenplay). In total, Nolan’s films have received 21 Oscar® nominations and six Oscar® wins. In addition to numerous other accolades from critics groups both domestic and international, Nolan has been honored by many industry organizations including receiving the John Schlesinger Award for Artistic Excellence in Directing from BAFTA/LA, the Golden Eddie Filmmaker of the Year Award from American Cinema Editors, the Board of Governors award from the American Society of Cinematographers and the Visionary Award from the Visual Effects Society. Nominations for this year’s ADG Excellence in Production Design Awards will be announced on January 5, 2015. The ADG will present winners in 11 competitive categories for theatrical films, television productions, commercials and music videos on January 31, 2015. As previously announced, Jim Bissell will receive the Guild’s Lifetime Achievement Award; John Gabriel Beckman, Charles Lisanby and Walter H. Tyler will be inducted into the ADG’s Hall of Fame. The ADG Awards are open only to productions, when made within the U.S., by producers signatory to the IATSE agreement. Foreign entries are acceptable without restrictions. Media sponsors are The Hollywood Reporter, Variety and SHOOT. 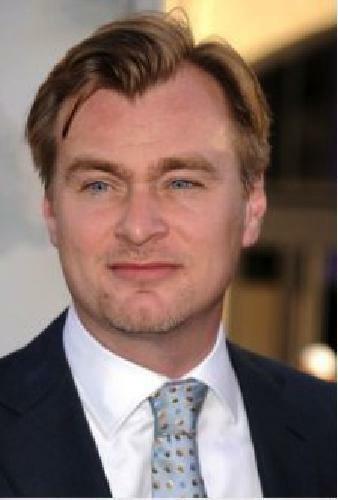 This entry was posted in Entertainment News and tagged Art Director's Guild, Award Season, Christopher Nolan. Bookmark the permalink.